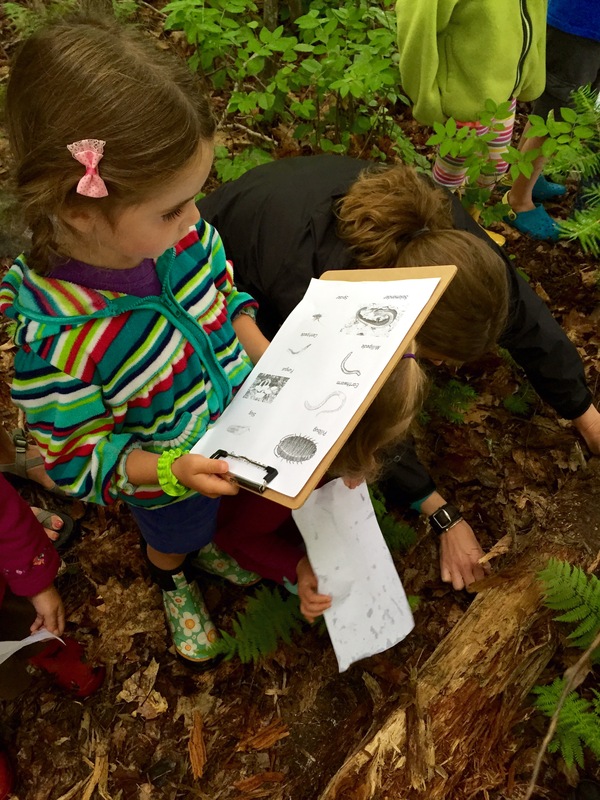 Nature Explorations: Life Under Logs…Discovering Decomposers! Are you looking for a simple and fun activity to get your kids out into the local forest or even the back yard this summer? 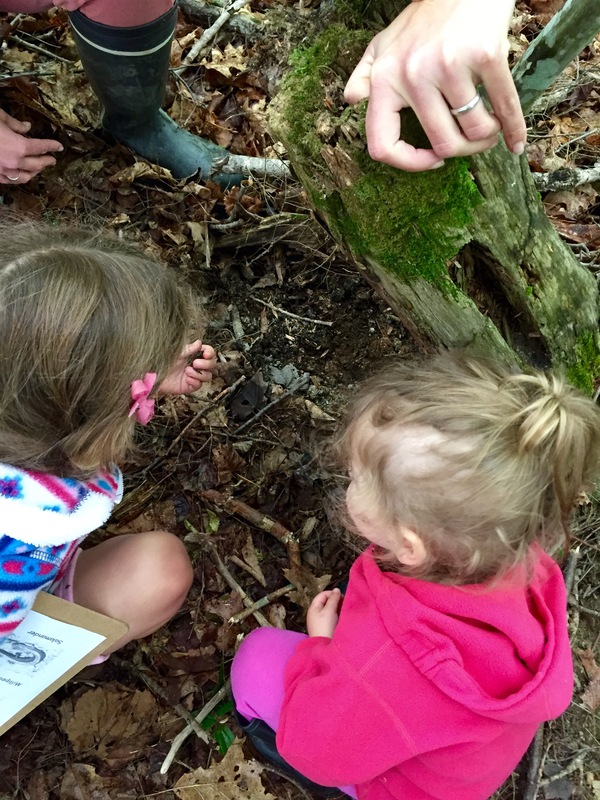 Thinking about the living organisms that rely on a simple log can be a great way to learn about decomposition and the soil cycle as well as an excuse to get your hands dirty and get out and explore your forest. 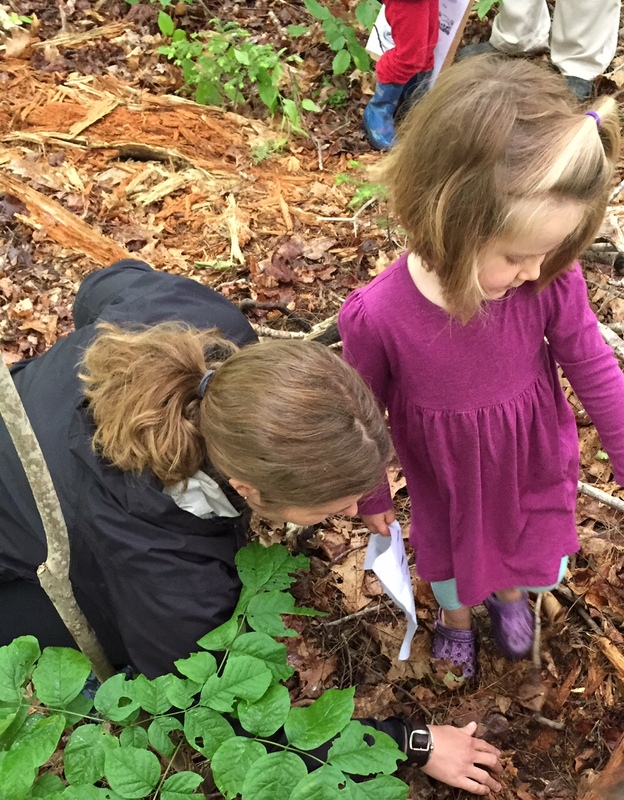 We tried this activity with our family nature club and it was a blast! This is a GREAT exploration for kids of any age! The Rotten Log Real Estate Puppet Show! Rather than just going out to roll logs and see what is underneath we started our activity with a puppet show. A butterfly was a real estate agent and many animals (ants, worms, etc) came looking for a new home (an old wrapping paper roll made the perfect “log”). The log was the ideal place to provide food and shelter for a wide variety of animals. We talked about how the log is a home and the importance of putting logs back after we turn them over. 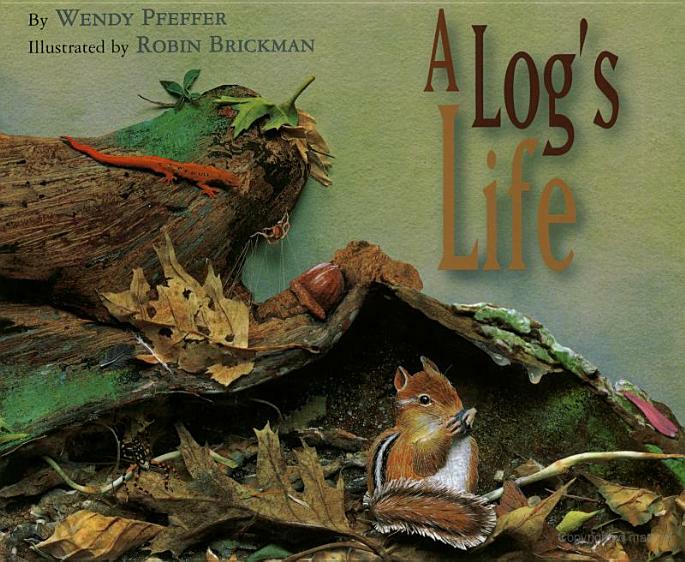 Next we read A Logs Life by Wendy Pfeffer. This book shows the process of a tree to soil with wonderful illustrations. Through this book we introduced the word decomposition. Before heading outside each child got a sheet of paper with pictures of the animals they might find under a log. We talked about what each animal would eat and determined which were decomposers. As we entered the woods we listened for other animal sounds. 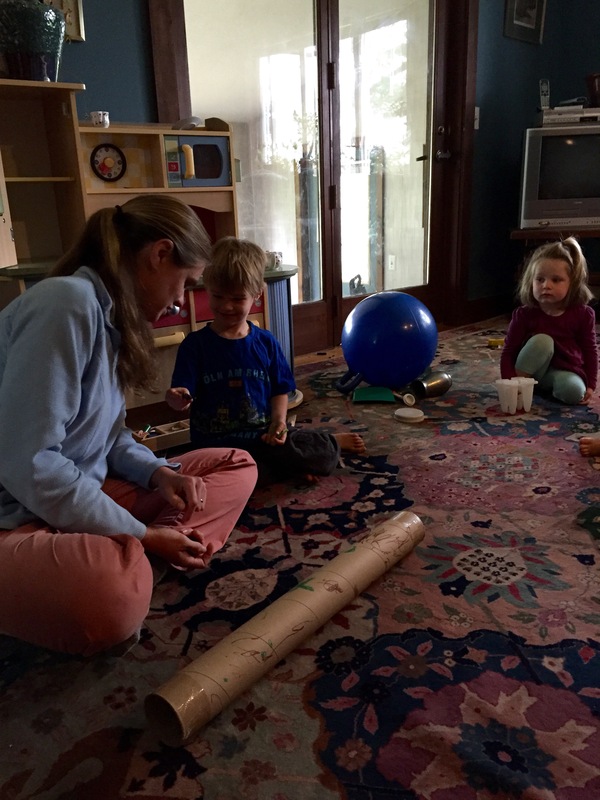 When we got to the log, children were asked to feel if it was hard or soft, wet or dry, and use other senses before looking under the log. This helps focus children so the log turning isn’t as much chaos. We turned over one big log together and looked; then children were free to explore on their own. At the end, children could draw their favorite living organisms they observed in their nature journals. Have fun rolling logs with your friends and family and discovering decomposers everywhere!!! !